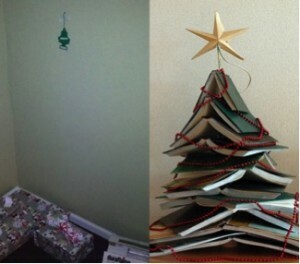 As hard as the life of a student might appear at times, your decoration for the winter season does not necessarily have to look like this. Here are some time and cost saving, yet pretty alternatives to channel your inner do-it-yourselfer. As simple as that: fill a glass, bowl or vase (or whatever you come across while trawling your dorm room) with salt and add some branches or baubles to it. If you like to get even more creative, you can also color the salt with chalk beforehand. The vases will look great on shelves or nightstands. 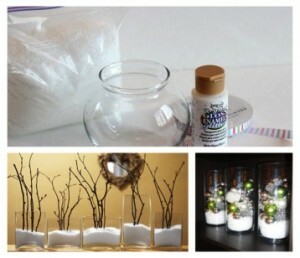 Glam up your windowsill with flashy mason jars. Generously cover them with glue before dipping them in glitter (available at any dollar store) and let the jars dry for a couple of hours, at least. 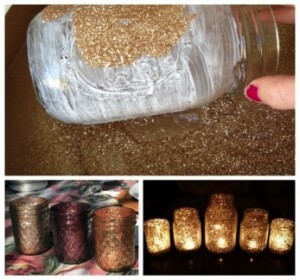 Finally, light up some tea lights and put them inside of the jars. Same works for old cloth or magazine paper. 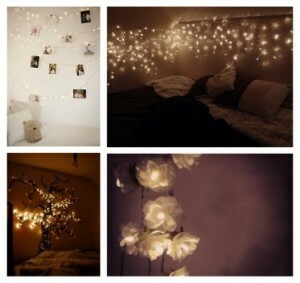 Make your room the coziest place in the entire dorm by simply adding perfect lighting. Tinker tiny lampshades out of see-through cloth or old table tennis balls, wind them around a string of light and put it on the wall over your bed. You will never want to leave this place again. 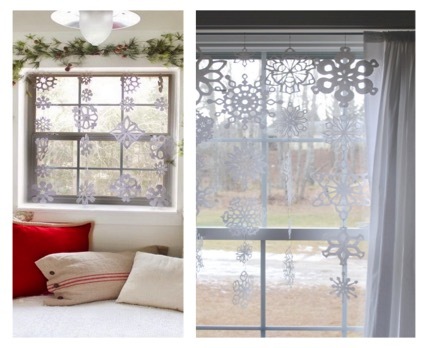 Yes, this will remind you of kinder garden, however everything you need in order to turn your dorm window into winter wonderland is already part of a student’s basic equipment: Paper, scissors and adhesive tape. 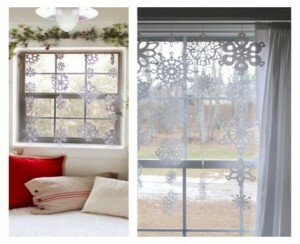 Crafting paper snowflakes is definitely the cheapest, quickest and pottiest way to adorn your student dorm. 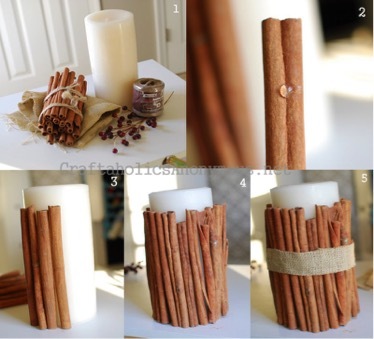 Why bother buying scented candles, when you can easily make your own? And not only do they smell good, cinnamon stick candles also add warmth and a cozy charm to your tiny space. The ultimate décor for the clumsy and uninspired: wine glass candles. Arranging these will take you the least effort, but will still look pleasingly subtle. 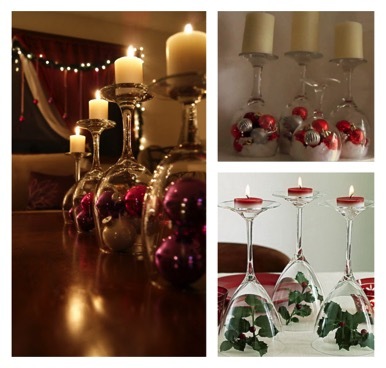 Any glass will do, although a wine glass does have its romantic flavour. What really counts here is what you put inside the glass. In case of doubt, fill them with chocolate or other snacks that get you through long study nights. 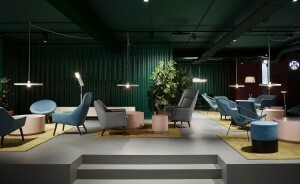 Whether it’s a one-night stay or a three-month extended visit, Amsterdam’s Student Hotel is a new concept that can be called a hybrid, in that – by fusing luxury long-term student accommodation with short-stay facilities for the design-savvy social traveller – caters for both needs. 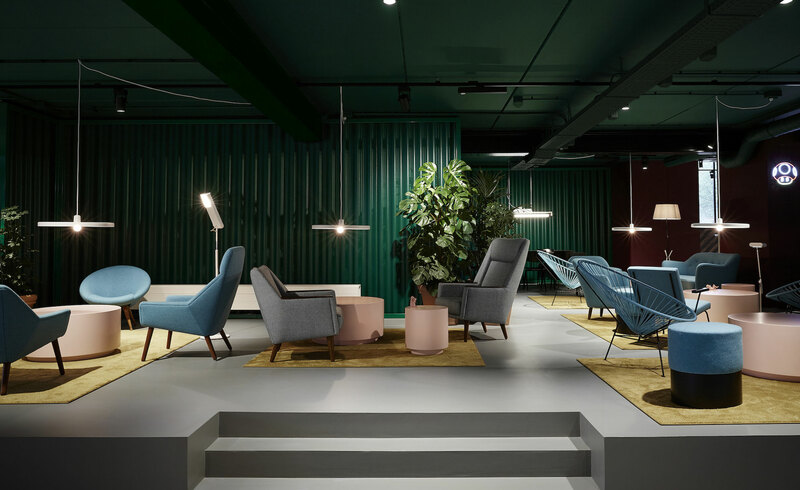 Founded by Scottish hospitality entrepreneur Charlie MacGregor, this is the fourth kind of student hotel concept (its second in Amsterdam) following the inaugural launch in Rotterdam, almost three years back. Located in the downtown area of the city, a short stroll from many local hotspots, the property was designed by a design firm who were asked by MacGregor to define everything from the hotel’s strategy to the visual & brand identity. The result is a series of playful common areas, adorned with nice looking graphics and decked with colourful, tailor-made furnishings and matching accessories. Despite the highest tuition costs in the world, university cities like Boston, New York and San Francisco keep attracting students from all around the globe. That’s good news, and that supports student residences, which successfully leased tens of thousand of new student housing beds for academic year that started this fall. More than 4.5 million students studied abroad in 2012, up from 2 million in 2000. That figure is forecast to reach 8 million by 2025. The U.S. remains the number one destination for students coming from abroad. More than 800,000 foreign students are currently enrolled in U.S. colleges and universities. A quarter of those are from China. India and South Korea are the second and third most common home countries for international students. Boston, New York and San Francisco are the most expensive cities in the world to get an education, yet they continue to attract students. In Boston for example, the combined cost of living, accommodation and tuition adds up to well over $5,000 a month. The total annual student costs are over $60,000, of which tuition accounts for two-thirds. Sydney and London follow, with an annual cost of around $48,000. The high cost of housing in those cities is offset by marginally lower tuition fees. Property managers who attract international students and can keep them happy may benefit as more international students choose to move in. This can lead to positive word of mouth for the residences. Property managers can succeed with these students by learning to serve their needs. That includes making sure any food on offer at a student housing community includes some choices to appeal to international students who are likely to enroll at the particular university. Managers can also identify the languages that new students are likely to speak and make sure they have a few speakers on staff. They need to cater to these other cultures in order to retain them and spread the word about their property to other international students. International students continue to make up 4 percent to 5 percent of U.S. college enrollment. The student housing business would probably be in serious trouble if it didn’t have this growing number of international students. Over the last year, the overall number of students enrolled has leveled off at the four-year schools where student housing companies operate most of their communities. Enrollments decreased at four-year private non-profit institutions by 0.2 percent in the spring of 2015 compared to the year before and increased slightly among four-year public institutions by 0.1 percent. Two-year schools and for-profit schools had more serious declines. It’s not just the top-notch Ivy League schools that attract international students. 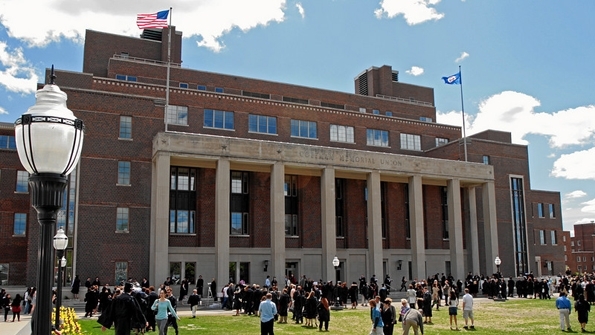 The national universities that attract the most international students include Florida Institute of Technology (33 percent international enrollment), the New School (32 percent), Illinois Institute of Technology (30 percent) and University of Tulsa (27 percent). 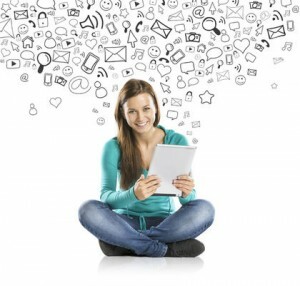 Technology programs attract many students. Other schools may actively recruit students from overseas. Parents sign the lease or act as guarantors which helps reduce the risk of late or no rent payments. Less likely to have professional tenants who work the system to their advantage. Consider renting by the room or offering fully furnished units which can result in getting higher rents. Third and fourth year students as well as post-graduate students are generally more mature, require less effort, and are there to study. In general, students are easy to get along with and are respectful and cooperative. 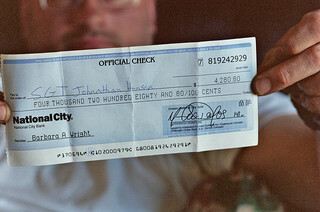 Expenses can be higher because in some cases the landlord pays for the utilities and condominium fees. Students like to socialize and have parties which can lead to property damage, complaints from other tenants or neighbours, and visits by the police. There can be higher turnover which means more time and money spent on advertising, showings, and maintenance. Expect the rental unit to be messy and have more wear and tear. More time can be spent with younger students who are not familiar with the neighbourhood, bus routes, or using appliances. An international student in Berlin (the cheapest city) can anticipate spending about $1,000 per month on combined living, accommodation and tuition expenses, whereas their counterpart in Boston (the costliest city) needs to budget at least five times as much at $5,446. U.S. cities hold the top three spots for most expensive destinations for students, with Boston followed by New York then San Francisco. 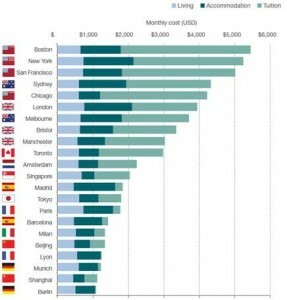 London is the sixth most expensive city, with monthly costs just under $4,000. Bristol and Manchester placed eighth and ninth, respectively. What makes the biggest difference between Berlin and Boston is the tuition. US schools are notorious for having the most expensive tuition in the world. While a student in a US institution can expect to pay between $3,100 and $3,700 per month in tuition, their counterpart in Germany will only pay between $20 and $30. That’s a major difference. So when you are looking to make your decision as far as where you will go to school, choose wisely, as the cost of living differs greatly from city to city. Why use a service like DormBooker to secure your student accommodation? Here’s a very good reason: Rental fraud is on the rise; this means that there are fake listings on the internet and students are being defrauded into making deposits for accommodations that do not exist. DormBooker completely negates rental fraud and fake landlords. This is because we verify EACH AND EVERY listing on our website. We personally visit the buildings & their facilities and we ensure that everything is as advertised. We also take our own pictures, so that every aspect is carefully shown to the students. Best of all, DormBooker secures your payment, and acts as a guarantor, which means that the landlord does not get your deposit (typically first month’s rent) until you are moved in and satisfied with the place. Only then is your payment released to the landlord. Therefore, by using DormBooker for finding your student housing, you are certain that every listing on the site is legit, and you are guaranteed that you will only pay for accommodations that you are happy with. This issue is particularly common for overseas students, who usually need to book their room from a distance. With DormBooker, you don’t need to worry anymore. We handle all the details, so that you can book your dorm stress-free and safely! Ask them questions beyond the technical questions required for your application. Find out more about them as a person, such as what they are studying, what aspirations they have, where they come from, etc. Only then will you be able to assess if that person is a good fit for your building. If you don’t treat your building and facilities with respect, how can you expect your student tenants to do it? Students are young people starting out in life. They are likely to imitate behavior they see around their environment. So maintain a clean and orderly building with rules and regulations, and you will notice that your students will likely adapt your ways faster than you expected. Yes students are just starting out in life, but they are not kids any more. Treat them like adults and they are likely to respond to you as adults. Give them respect and take their requests and questions seriously. You are not their parent, you are entering a business relationship with them as landlord and tenant. It’s tempting to just accept everyone that applies because of the urgent need to fill your empty rooms as soon as possible. However, this may come to be regrettable in the long run. It is best to take the time to carefully select good students that will be great tenants so that you avoid a laundry list of headaches later on. You need to assess what the market for student housing goes for in your area. Student housing rates are very different than traditional housing rates, so you need to make sure that you are not over or under pricing your rooms. If you offer more accommodations and facilities than the average, add a premium. Same if you have less than the average, then charge less. Consider location as well, and proximity to school. Students are willing to pay extra if the location is great.